For Orhan Pamuk, the idea of “neighbourliness” is double-edged: in international relations, it signals peace and cultural engagement, but in society, particularly in the Turkish tradition, it implies provincialism and suspicion. 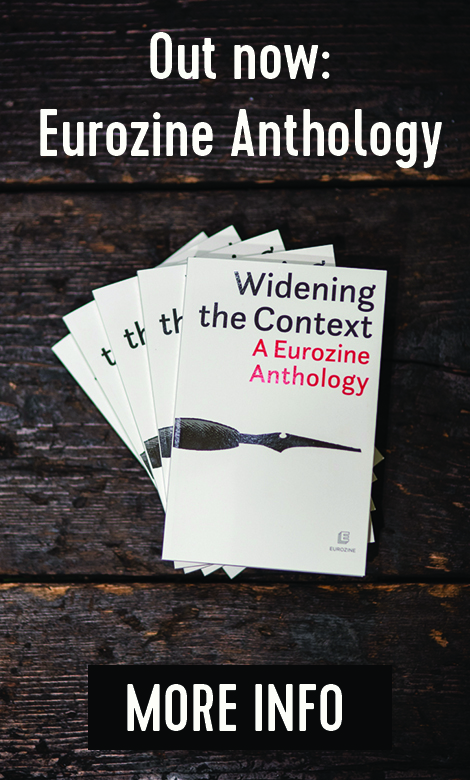 Addressing the Eurozine network, Pamuk holds that cultural journals’ role should be to promote non-conformism. There is nothing I like more than to grab two or three new issues of cultural journals, withdraw into my study and start to read. What do I then expect as a reader? To me, cultural journals constitute a space where culture resists. Or should resist. I find it highly disturbing when cultural journals try to compete with – and are influenced by – the language and interests of the mainstream media. Cultural journals should reject the issues brought up by the big media and instead insist on dwelling on their own problems, their own concerns. Sometimes the language of the big media appeals to us; sometimes the tabloids catch our attention, which we might like. Nevertheless, cultural journals shouldn’t be pursuing issues covered by the bigger papers and television, who cater to a large audience. Unfortunately, it’s exactly this development that we’ve been forced to follow in recent years, especially in some of the more significant cultural journals. To attract readers’ interest, they too pursue the issues raised, investigated, and blown up by the big media. Perhaps in doing so they do even attract some interest – temporarily. But in the long run they just become like the big media. What I’d like to see when I open one of these journals is exactly those things I can’t find anywhere else. Another concern of mine regarding cultural journals is that they are too much under the influence of the Anglo-Saxon world. Cultural journals should be communicating much more intensely with other cultures, cultures close by, and with the culture in which they are embedded and which they address. They could counter the general tendencies of the culture industry; they could and should point to other ways, to alternatives to the hegemony of Anglo-American culture. We are here to talk about “neighbourhoods”, a concept that for Turkey should include the European Union. However, we haven’t yet become a fully-fledged neighbour of the EU. Moreover, among neighbouring countries, it’s only Greece with whom we’re on reasonably good terms. We’re improving, but can’t really claim to have good relations with our neighbours. Instead, we’re in a constant state of conflict with them. One might almost say that we’re solving our problems with our European neighbours simply to get into the EU. “Neighbourliness” is usually regarded to be something intrinsically good. And yes, in this meeting we may extol, celebrate, and believe in neighbourly behaviour; to do so would certainly be correct. For international peace, neighbourhood is an important concept and good neighbourly relations are necessary. However, I’d still like to question a certain concept of neighbourliness that is well established in our culture and passed on through wise sayings and proverbs. Yes, Turkey does need to get along well with its neighbours. But in the cultural context, I have some problems with neighbourhood, as I’m sure you have too. For me, living in a modern city essentially means being free from the pressure that comes from having neighbours. The neighbour is a person we should love, and who, if we don’t, informs on us, polices us, denounces us for faults in our attitude and behaviour. The dominant discourse in our culture, which says that one should get along with one’s neighbours, is very much about accommodating to the neighbour (let’s get along with him or her so he or she doesn’t denounce us). The discourse makes us think that this is the sensible thing to do. Modernity, or the yearning to escape from the provincial, to some extent represents a wish to avoid the neighbour, to avoid the prying and controlling eyes of the community. In international relations, I do find neighbourhood an important concept. I value it. I think Turkey should get along with its neighbours. But those of us who live in big cities should be glad, in contrast to small-town dwellers, that we are rid of our neighbours. Of course, from time to time we knock on our neighbour’s door when we run out of coffee and ask to borrow some. As pleasant as this might be, it also means opening our door to the control mechanisms of society. In Turkish, there’s the saying that “a neighbour knows what a neighbour feels”. Here, we think of a neighbour as someone who incessantly keeps a check on the other, who oversees, who reports to others whatever excesses he observes, scribbling them down in a notebook and saving them there only to bring them up again at a bad moment. Underlying this is the custom in Ottoman society where the state assigned the task of finding the culprit of a crime to the community; where the representative of state authority could not infiltrate the community, in the way we know from Western culture and literature; where a community culture existed in which everyone was policeman and informer; where communities were transformed by Ottoman society – which attributed great importance to the millet system – into environments in which everyone policed everyone else. That is where the concept of neighbourhood comes from, a concept that we cherish greatly even today. We Turkish people celebrate the concept of “neighbourliness”, we take great care to get along with our neighbours. However, it’s important to note that, because of the communal society, this also means getting along well with the state, with the police, with the army. Because of neighbours, because of concern with the question “What would the neighbours say?”, everyone keeps their controversial thoughts, their dissent, to themselves. Let’s love our neighbour, let’s love Greece, Iran, Syria. Let’s enter the EU and live in peace. But let’s not abandon our own thoughts, our own identity, our own personality just because we’re worried about “what the neighbours would say”, just because we should be getting along well with our neighbours. Cultural journals essentially address the most developed and refined people in a society, the ones with the highest level of education and income. The culture of neighbourhood, on the other hand, is a concept that serves the needs of people who can’t survive alone in a modern city, who need the moral, even the cultural and religious support of their neighbours to keep a hold in the modern urban environment. Of course we should be on good terms with our neighbour, but let’s not therefore sacrifice our thoughts, our controversial ideas. When our parents quarrel at home, it may be okay to caution “Shh, shh, what would the neighbours think?”, but the fear of the neighbour could lead us to forsake our ideas and to think like everybody else. To come back to where I started, what we expect from cultural journals is that they shouldn’t lead us to think in conformity with the rest. I expect this conference, as well as the accession of Turkey into the European Union, to proceed along these lines. Each one of us should be thinking a little differently; we shouldn’t resemble one another; we should take pride in our neighbourly difference, not in our resemblance. Our neighbour shouldn’t question our difference. That’s the kind of world we yearn for. And that’s the reason why the concept of neighbourhood is in the title of this meeting: because we want to live in a world of diversity. Orhan Pamuk delivered this speech as the opening address at the 18th European Meeting of Cultural Journals in Istanbul from 4 to 7 November 2005.